An institution in town since 1992, Soby's is a combination of classic southern recipes and an expansive wine celler. One of their most popular dishes is She Crab Soup. 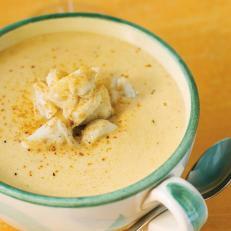 hybrid of bisque and chowder, the dish is made with locally caught crabs and enhanced with dry sherry and crab roe.